Yea that’s something to celebrate! If you missed it, PLEASE indulge as C.J. 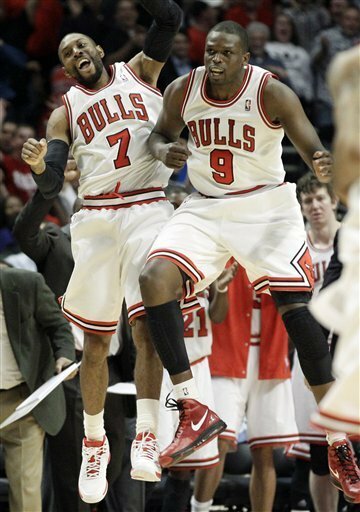 Watson sinks a game tying three point shot and sends the Bulls into their overtime win against the Miami Heat, 96-86. God it feels good to beat the Heat (like I played in the game). 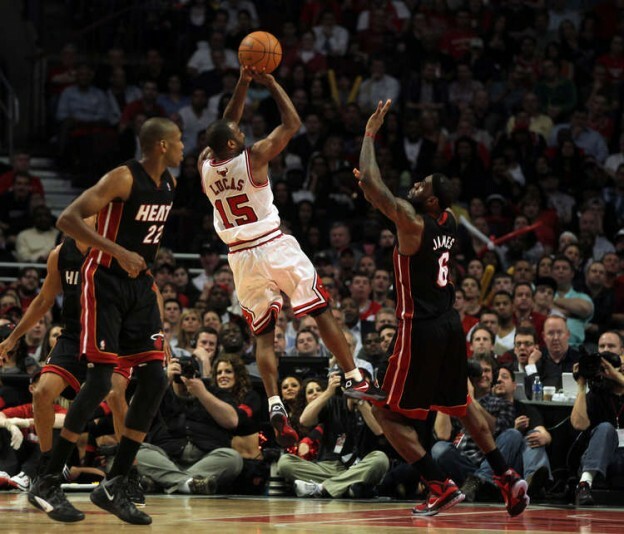 Most importantly, the stars of the game were not the Bulls starting five, but rather the reserves. Our ever popularBench Mobreally gave it to Miami last night. Between Watson stepping in for a struggling Derrick Rose (if you can believe it, Rose had 2 points), Kyle Korver sinking 3-point bombs, Taj Gibson attacking all over the court, Omer Asik man-handling the boards, and we can’t forget about Luol Deng (yes, I know he’s a starter, but Coach Thibs showed his finesse and reworked the players quite nicely last night), the Bulls showed their depth alright. So here’s the deal, the Bulls worked their magic last night, but we’re going to need superstar performances from our reigning MVP come playoff time. He has seven games left in the regular season to get his groove back. The next three games are against the Pistons, the Wizards and the Bobcats. To say it nicely, they’re not going anywhere this season, so this is the perfect opportunity for Rose to find his explosiveness. After those three games, if he’s still struggling, then I’m going to get worried. Da Na Na Hey! Go Bulls!